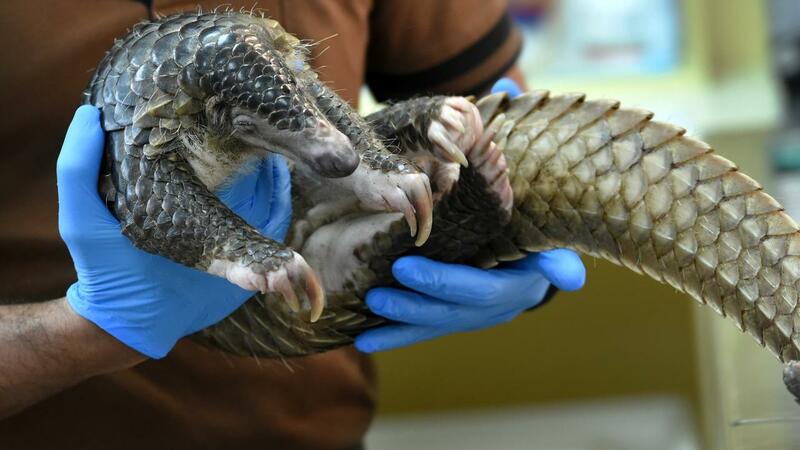 The Malaysian authorities seized 30 tonnes of pangolins and scales from the armored animal during a large series of raids at processing plants in the Asian country. "A record catch", according to the police. The total catch has a market value of about 2 million dollars, police and environmental organizations report Tuesday, AFP reports. The police intercepted 2,372 frozen peelers in freezers and refrigerated containers, 61 living pangolins in cages and 361 kilos of scales from the animals threatened with extinction. A 35-year-old man, who would have been in charge of one of the factories, who acted in pangolins, was arrested. According to a Malaysian organization that oversees the schlaying smuggling "it is about the largest catch that Malaysia has seen so far." The authorities are more likely to attack smugglers, but usually on a much smaller scale. The armored animal is very popular in Asia where the scales are used for traditional medicine and the meat is a delicacy. Malaysia has been trying for years to do everything to limit the poaching and smuggling of the animals. The pangolin, or pangolin, is the most poached mammal on earth.